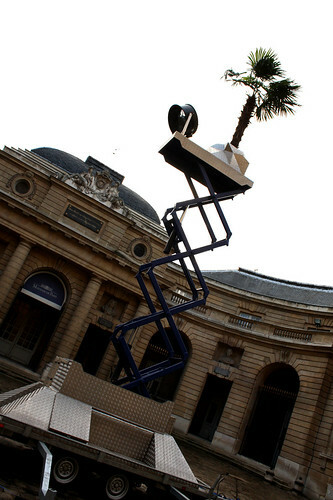 PARIS 2e: A Money Tree? 0 Comments Published by Cedric Benetti on Friday, December 11, 2009 at 12/11/2009 10:50:00 AM. 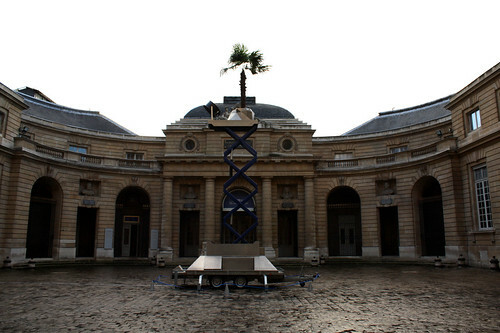 Inside the courtyard of the Monnaie de Paris, someone has set up a lonely palm tree blowing in the artificial wind generated by an electric fan... some people just don't like a regular Xmas tree.